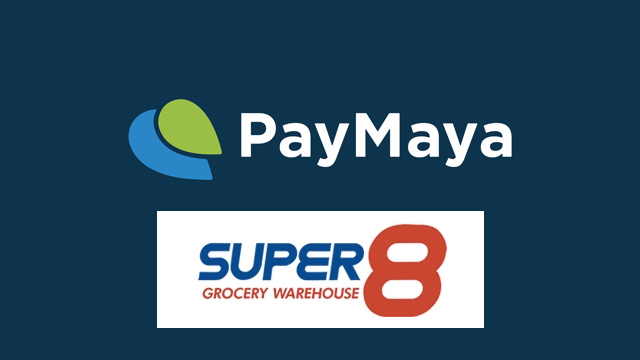 PayMaya, Super8 deal will let customers can now use their PayMaya cards in Super8 grocery stores for cashless payments. Super8 shoppers will soon be able to use their PayMaya cards to pay for their groceries. This allows them to quickly pay at checkout counters through the use of their smartphones. The payments are done via PayMaya QR codes, which will soon be distributed in the 68 Super8 branches nationwide. Cashless payments are part of Super8’s efforts to improve the overall experience of its customers, speeding up transactions and movement of lines at the checkout counters. “Super8 has grown to be a formidable player in the grocery warehouse business, thanks mostly to affordable pricing and innovative experiences available to its customers. Through PayMaya QR, this experience is made even better and more convenient for all Super8 shoppers, because their mobile phones can now act as their wallets,” says Orlando B. Vea, President and CEO at PayMaya Philippines. Super8 shoppers can also expect exclusive perks and promos whenever they use their PayMaya cards. Super8 is the latest in the growing list of stores that accept mobile-based payments via QR. Last year, Robinson’s Galleria added PayMaya QR in their stores that includes Robinsons Department Store, Robinsons Supermarket, plus merchants under Robinsons Specialty Stores, Inc. (RSSI) — like Topshop, Topman, Dorothy Perkins, Burton Menswear, G2000, benefit, Shiseido, Miss Selfridge, and Warehouse, among others.